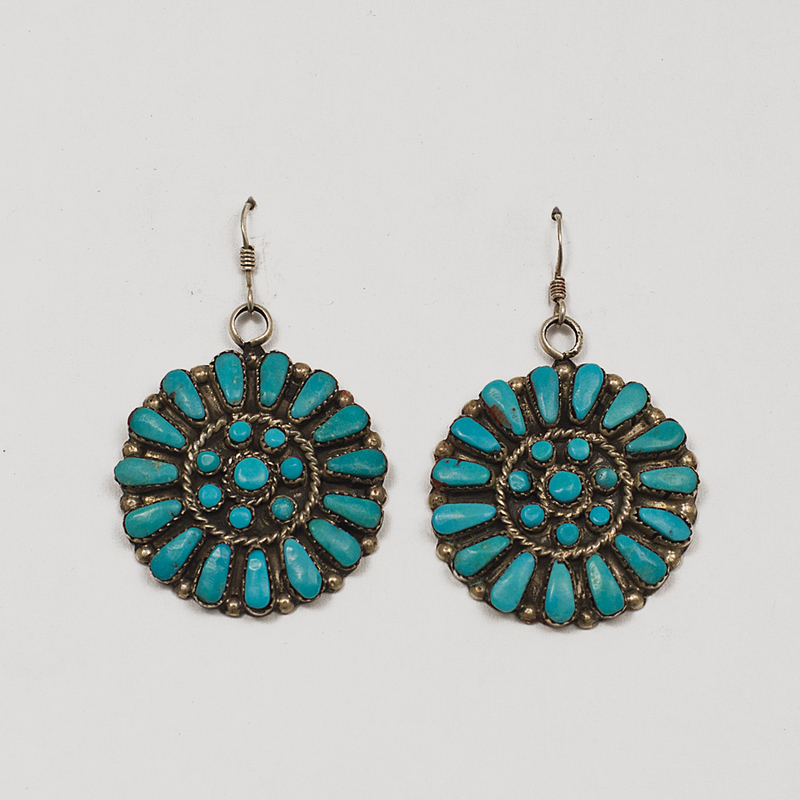 Zuni artist Marci Stead has created a classic round cluster earring using drops and dots of meticulously cut turquoise stone from the Sleeping Beauty Mine. Each stone is set into sterling silver and accented with twisted rope wire and delicate drops of silver. Hallmarked “M. Stead” and “Zuni”. Guaranteed sterling. As shown: Dangle Wire. 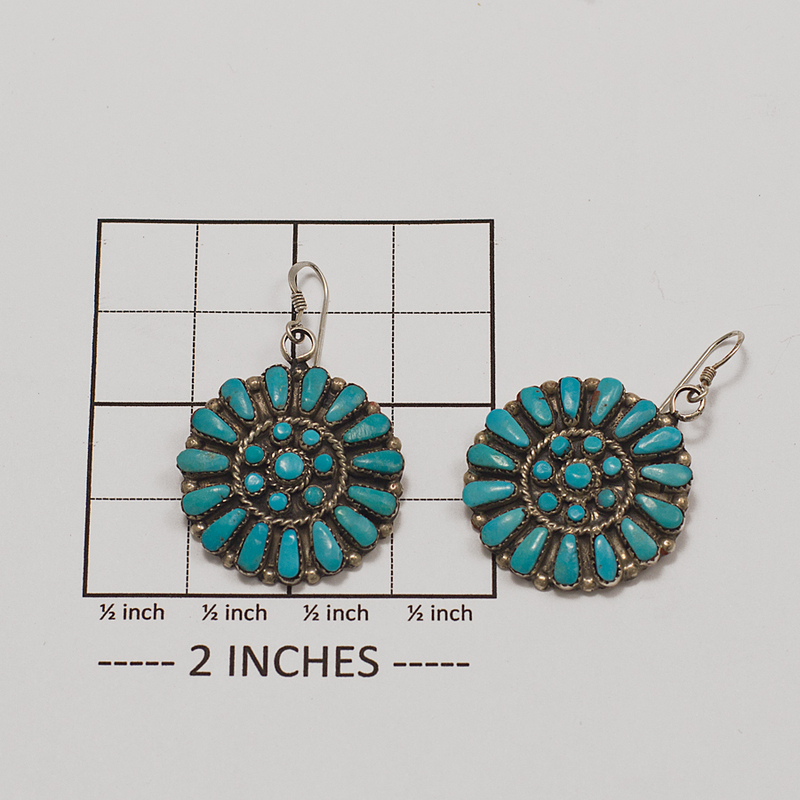 Marci Stead Turquoise Cluster Earrings displays glimmering blue and Sterling Silver. Handmade by a skilled Native American Silversmith of the Navajo tribe.